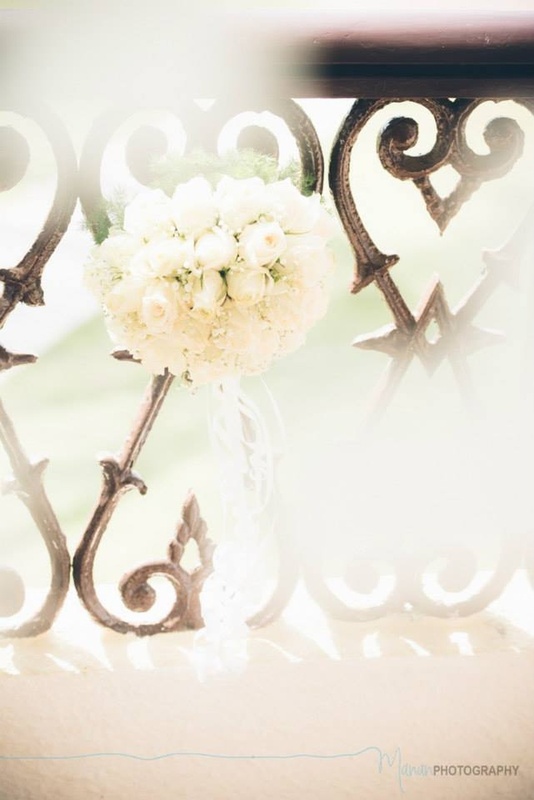 Some wedding albums just leave us dreamy and dewy eyed. 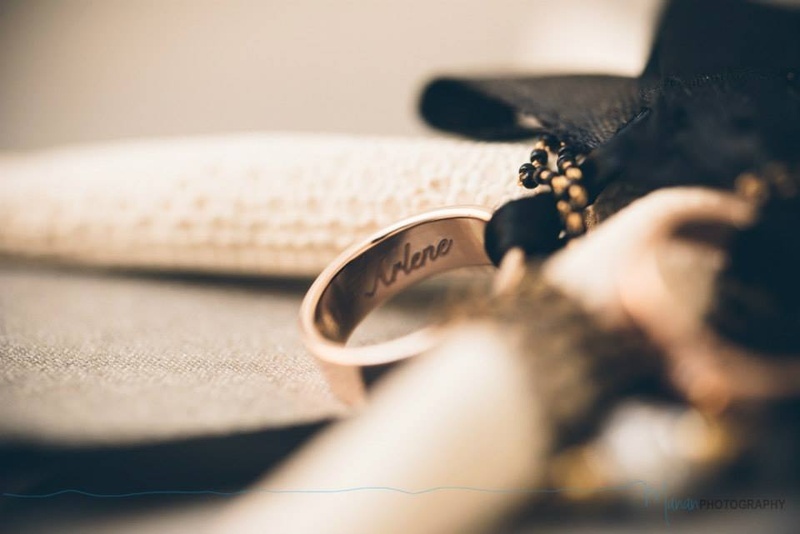 Arlene and Claude’s was definitely one of them. 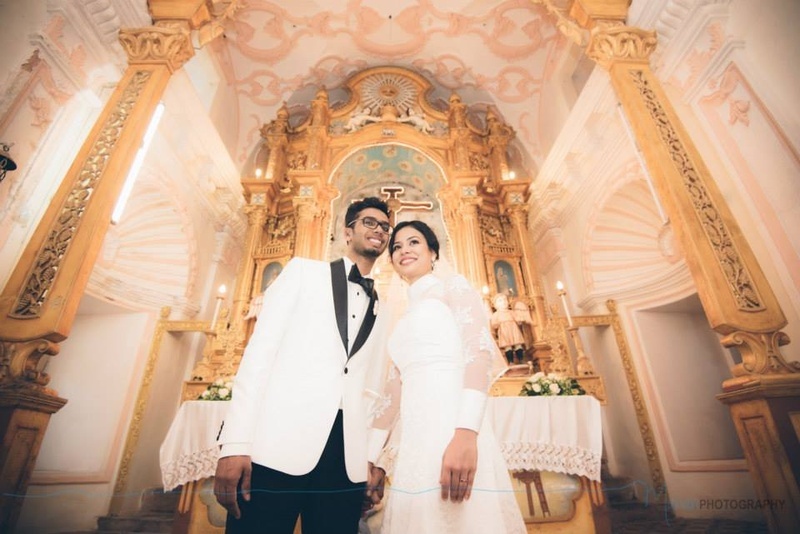 The striking simplicity of this celebration made us look up and take notice of the sweet love and romance Arlene and Claude shared. 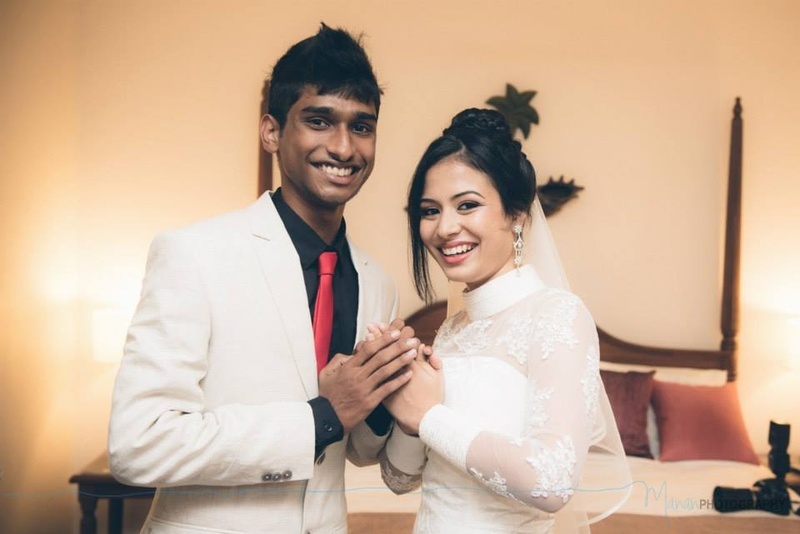 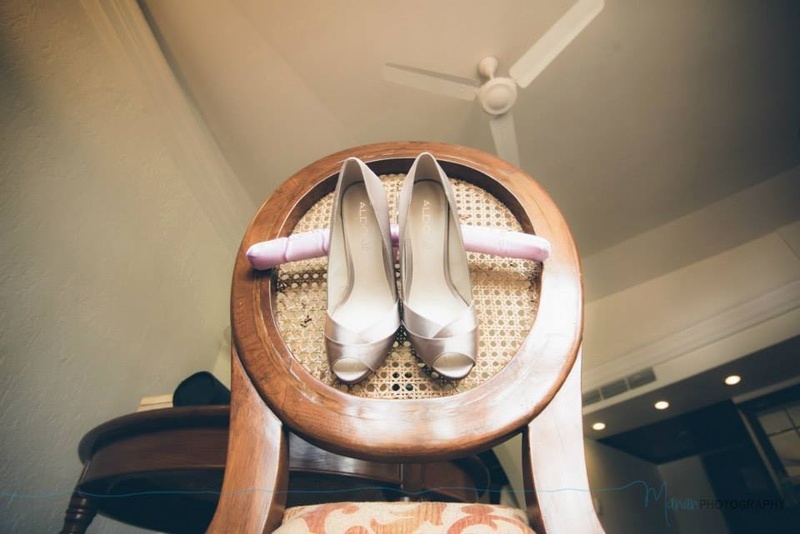 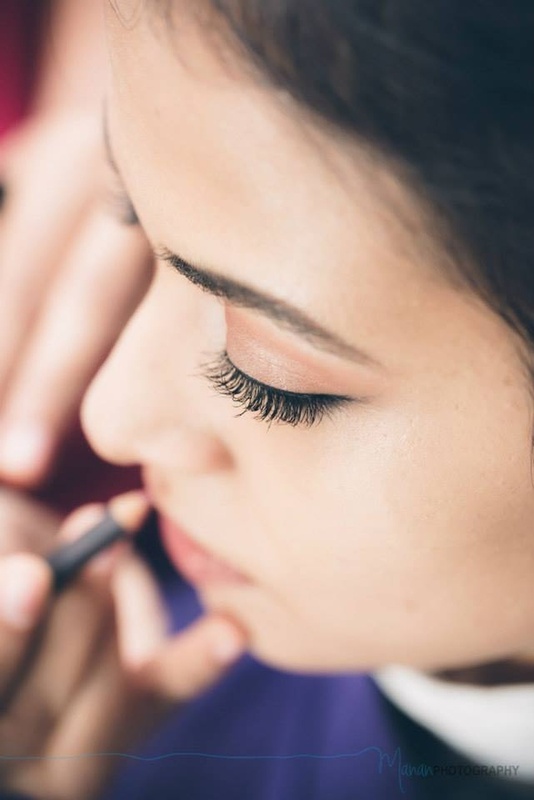 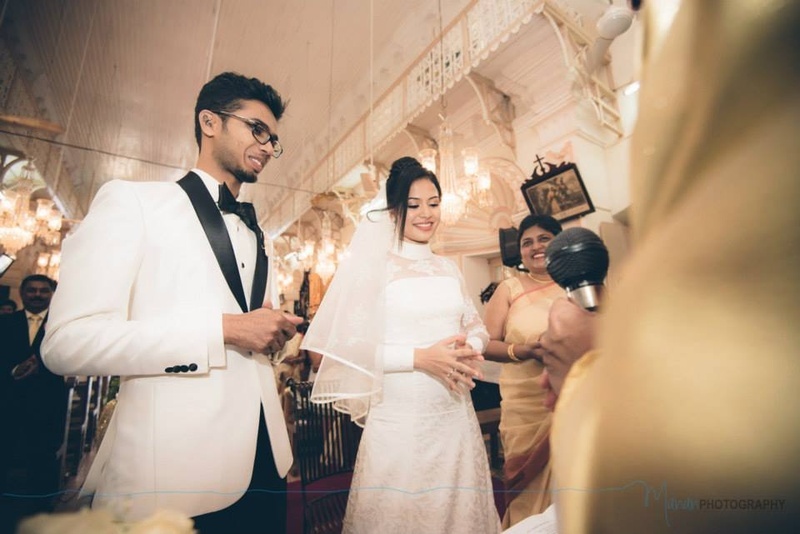 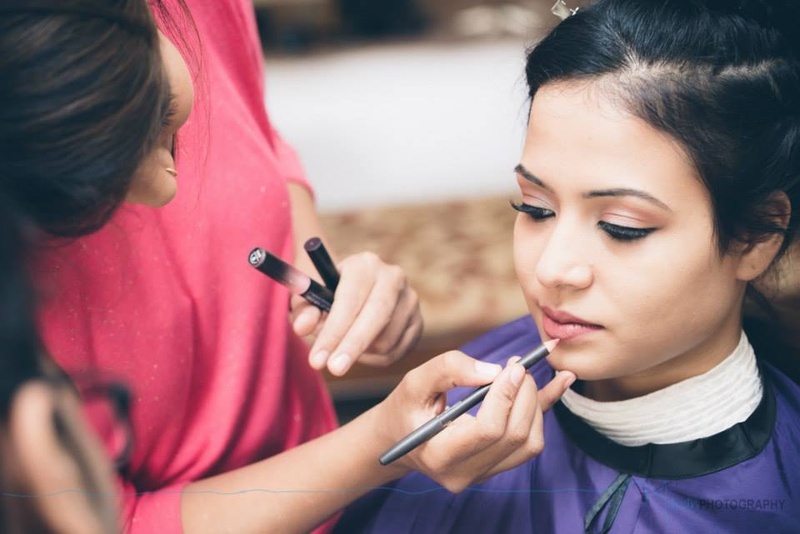 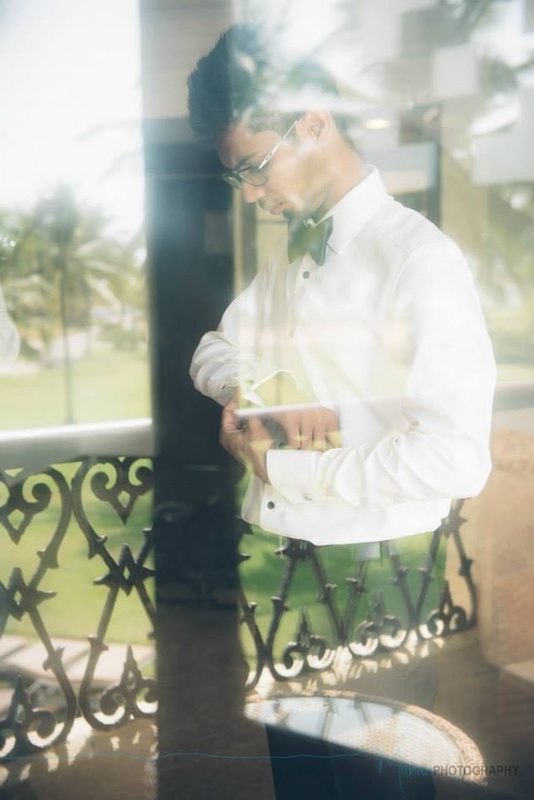 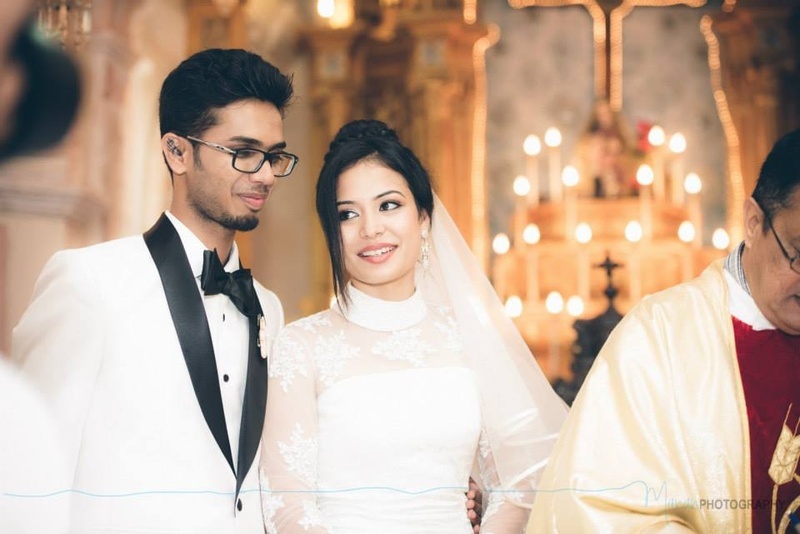 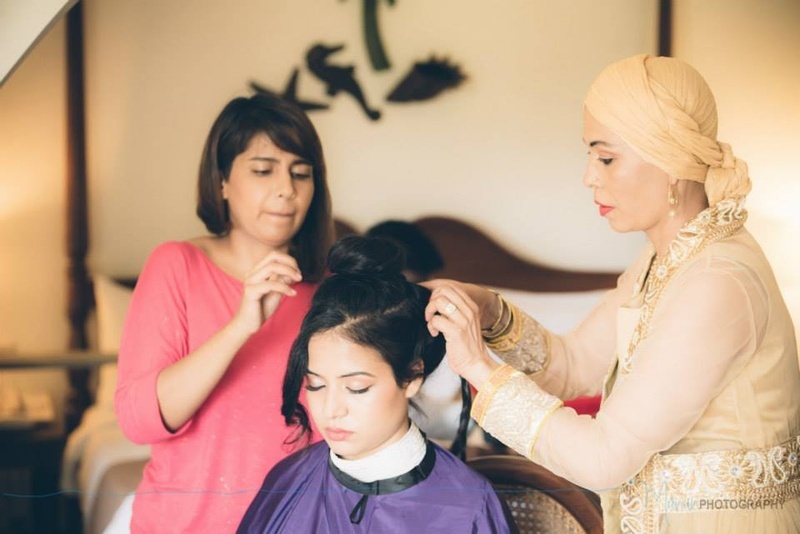 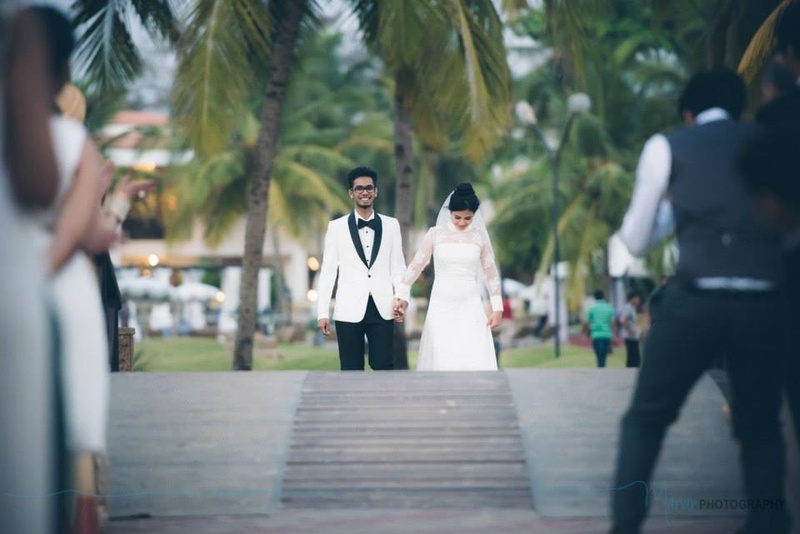 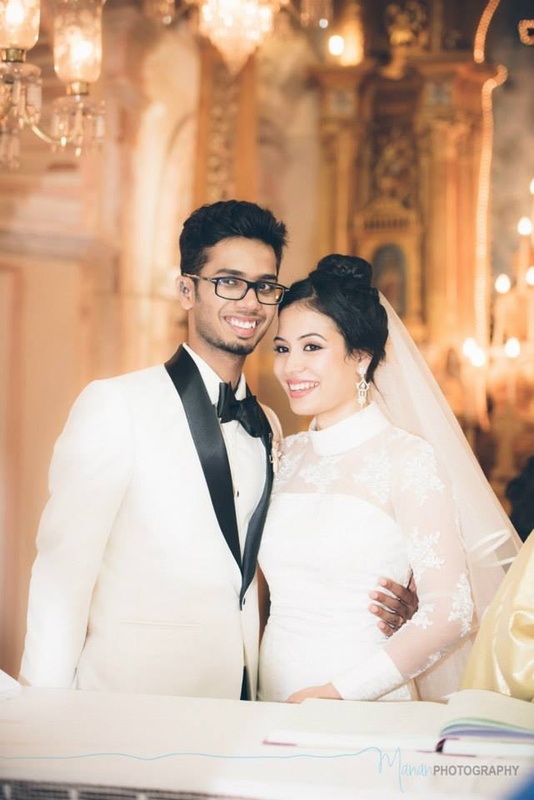 The team at Manan Photography outdid themselves when shooting this wedding. 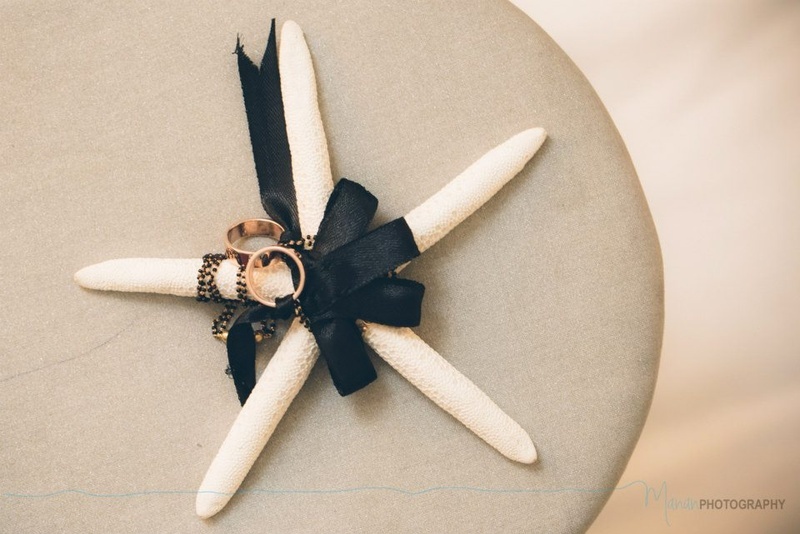 What did we love at this wedding, besides everything? 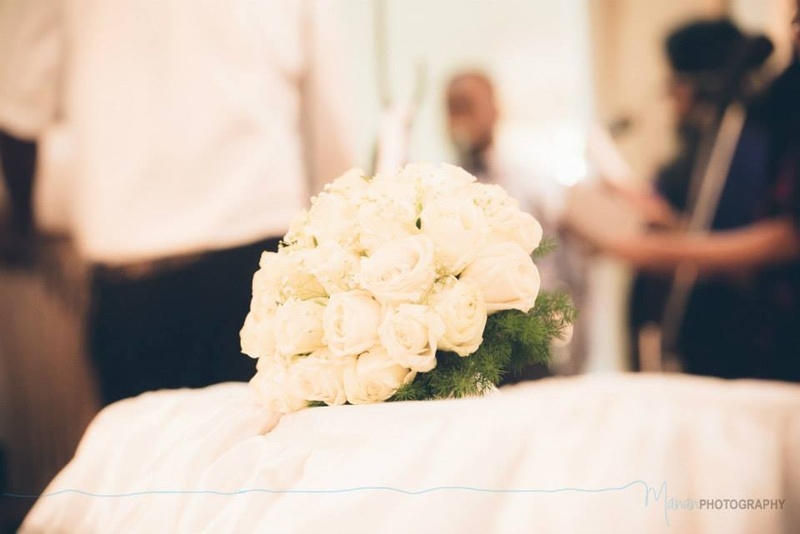 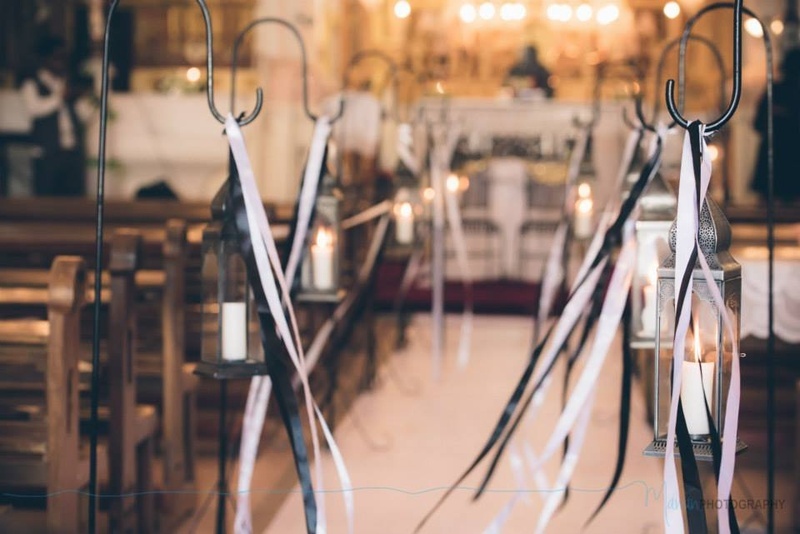 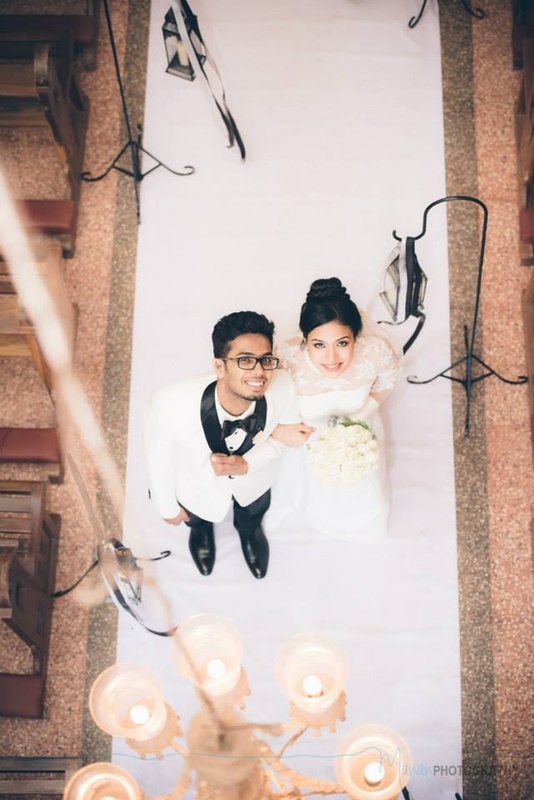 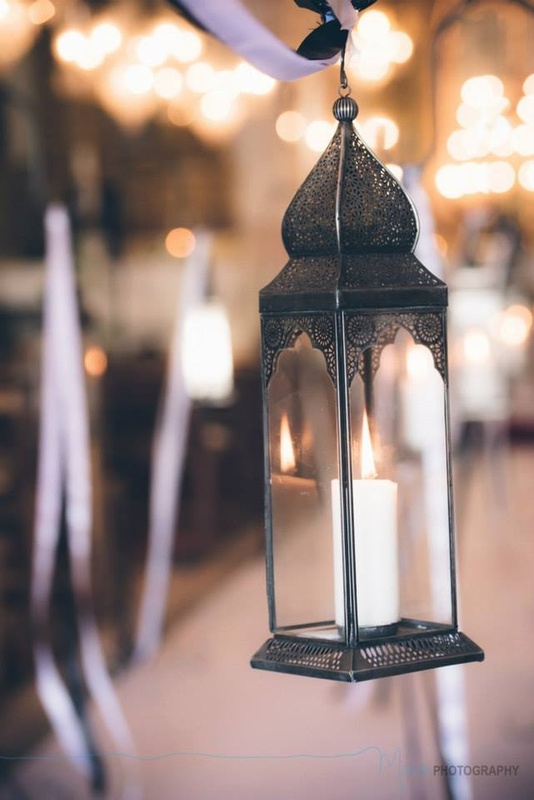 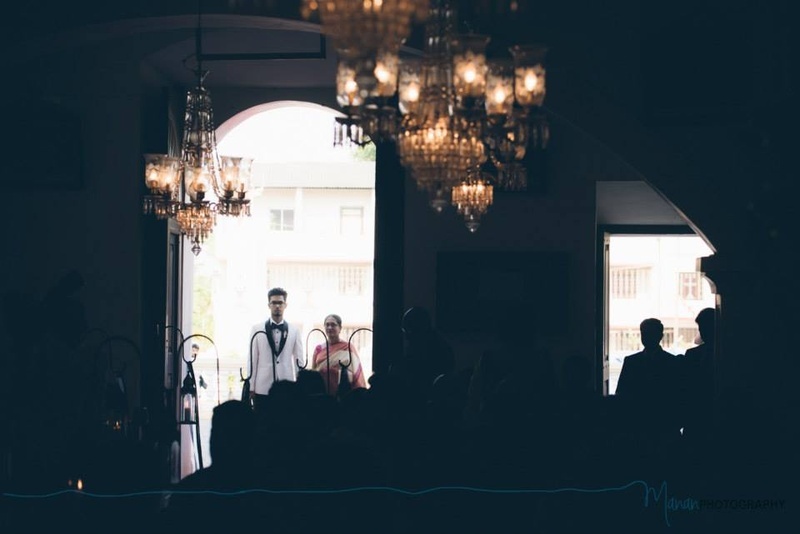 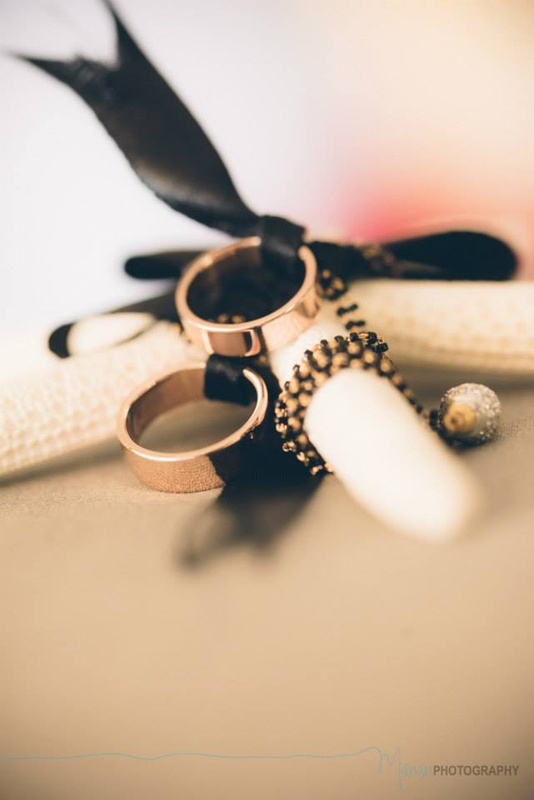 Double hearts to the Black and White themed wedding ceremony at the Holy Cross Church – such a classic idea, executed so beautifully and subtly through small details. 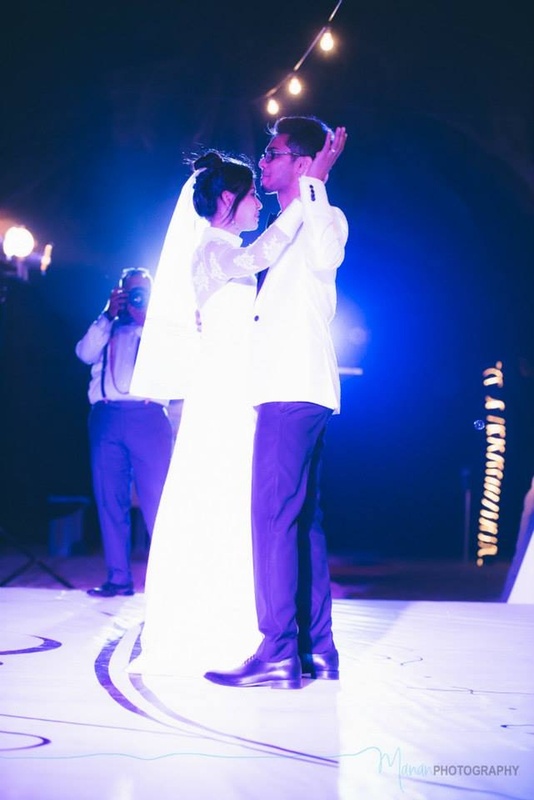 Even the team at Manan Photography shot silhouettes with the theme colors in mind. 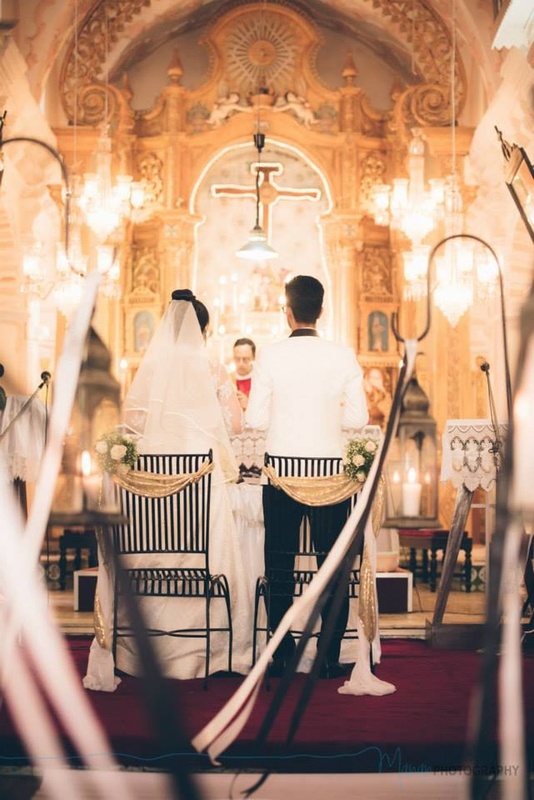 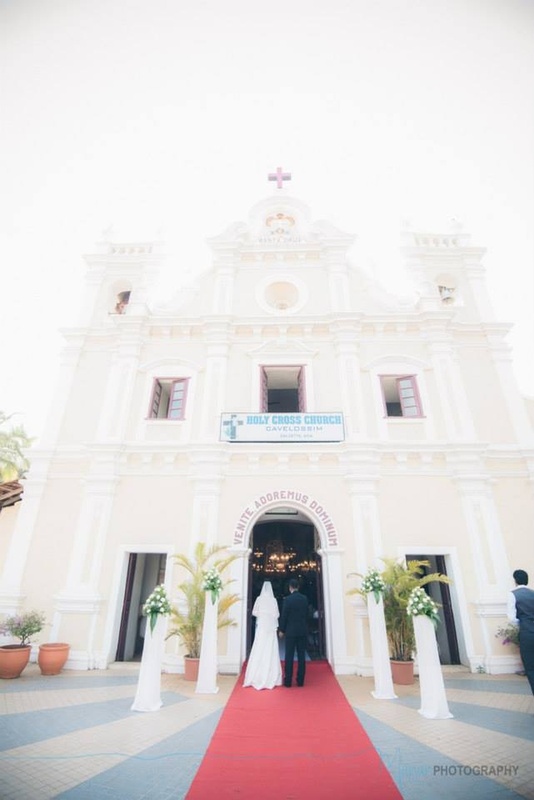 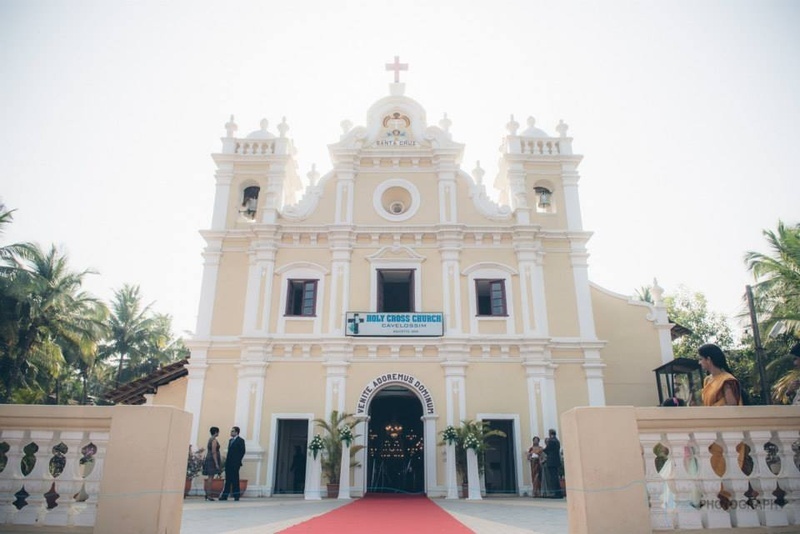 The historic wedding venue, The Holy Cross Church in Goa, although grand and imposing in structure was warm and inviting in ambiance. 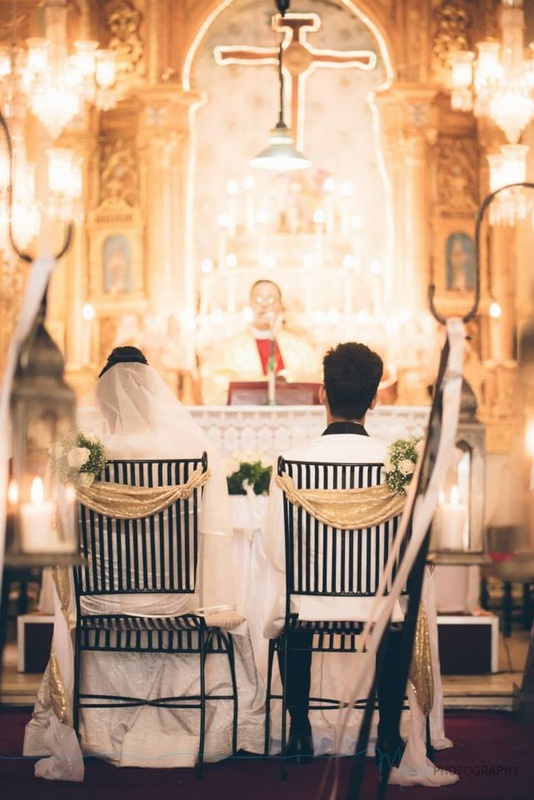 The beautifully carved pillars and alter and the frescoed ceiling made for a beautiful wedding backdrop. 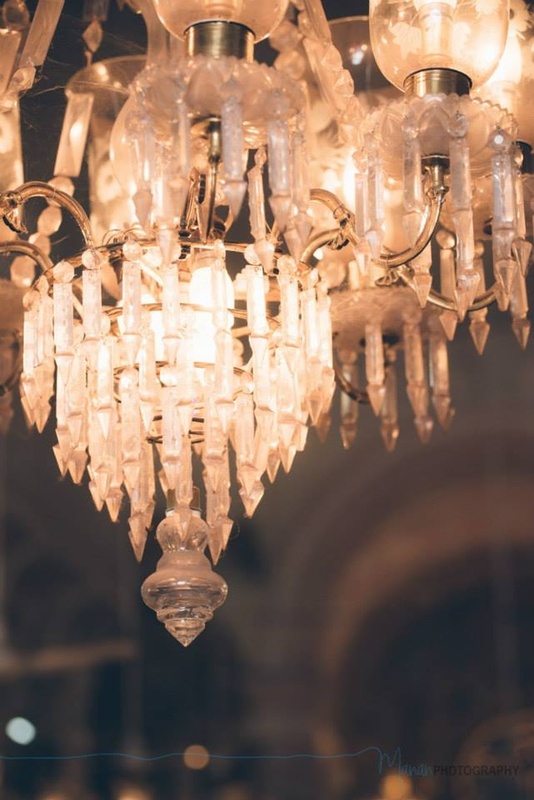 The warmly lit crystal chandeliers cast a golden glow on the entire ceremony, transforming it into something ethereal and out of the pages of a fairy tale. 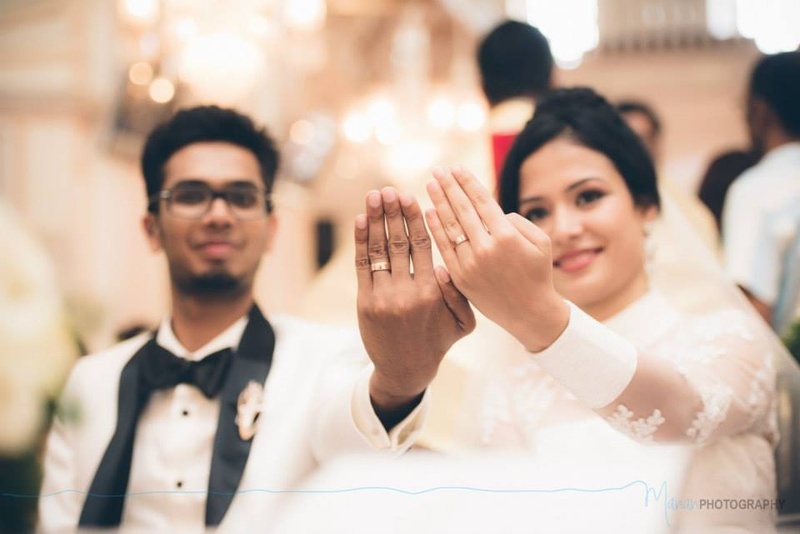 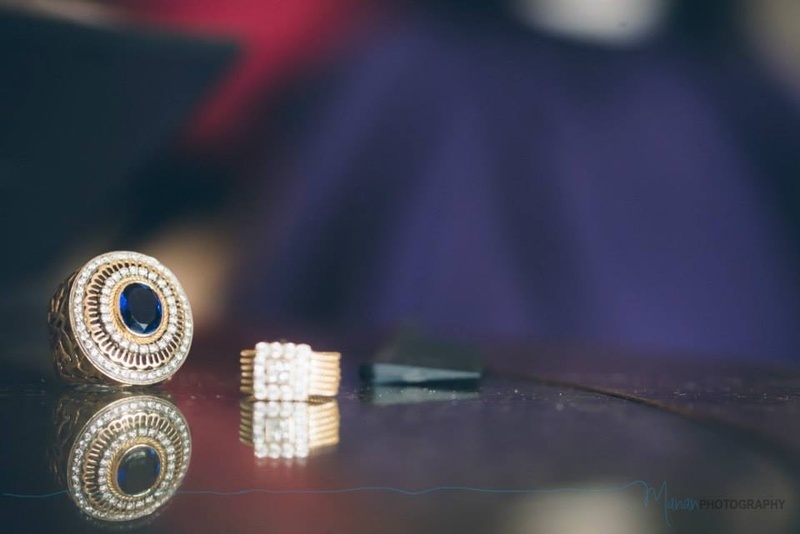 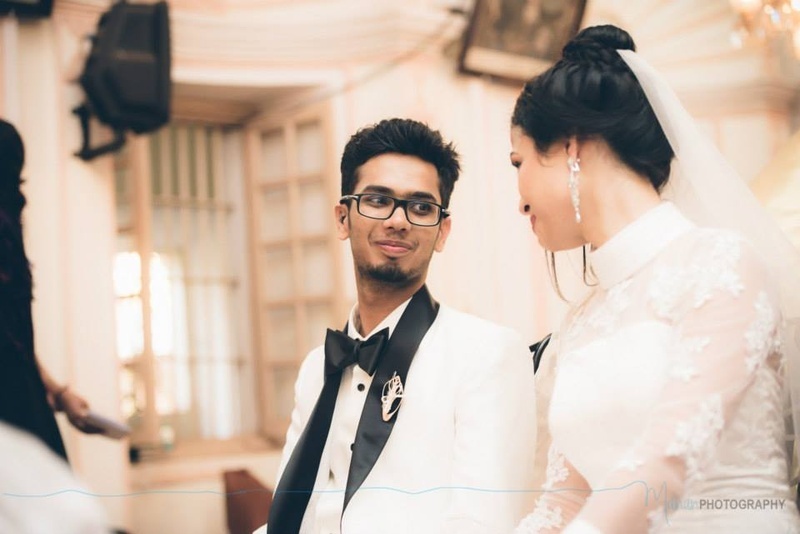 We loved the personalized wedding band, the contemporized mangal sutra design with the diamond encrusted drop, Arlene’s gorgeous diamond earrings and Claude’s Sapphire and diamond earrings. 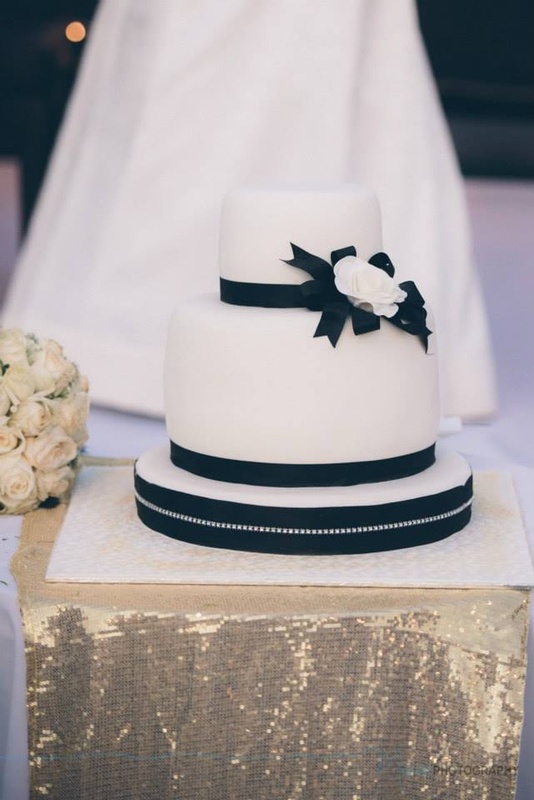 We also loved the floral bouquet minimally constructed with fresh white roses and the regal black and white cake with the black bow detailing. 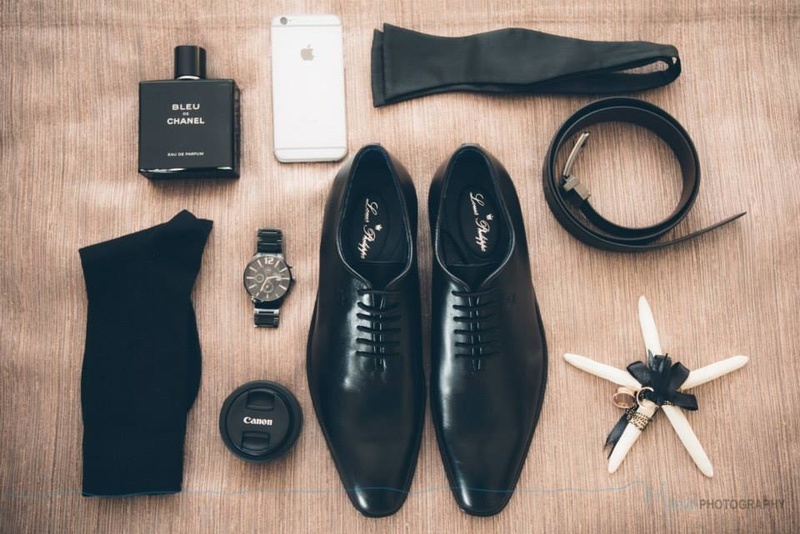 Claude’s classic white tux with black collar details and a black bow tie, black brogues to match and the coordinated watch give us a peak into his oh so stylish persona. 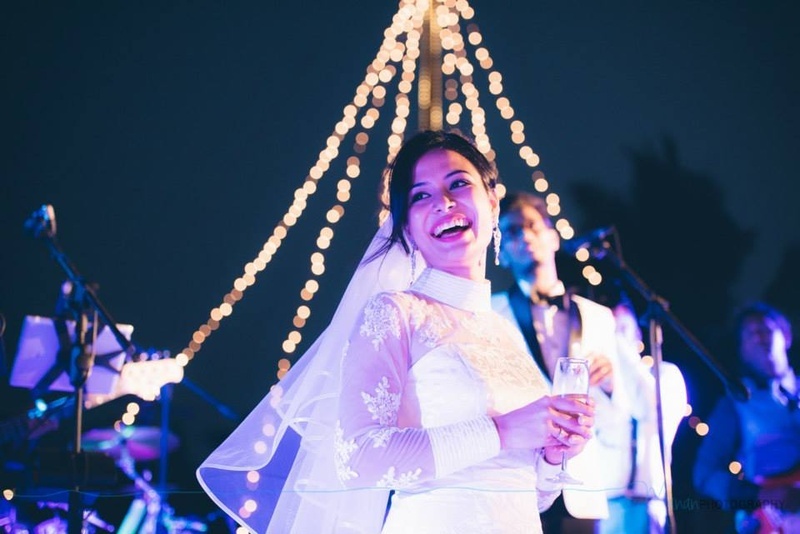 Arlene’s sheer sleeved and shouldered classic white dress with delicate embroidery details, a sheer veil, classic bridal up do, minimal make up made for a soft and pretty bridal look. 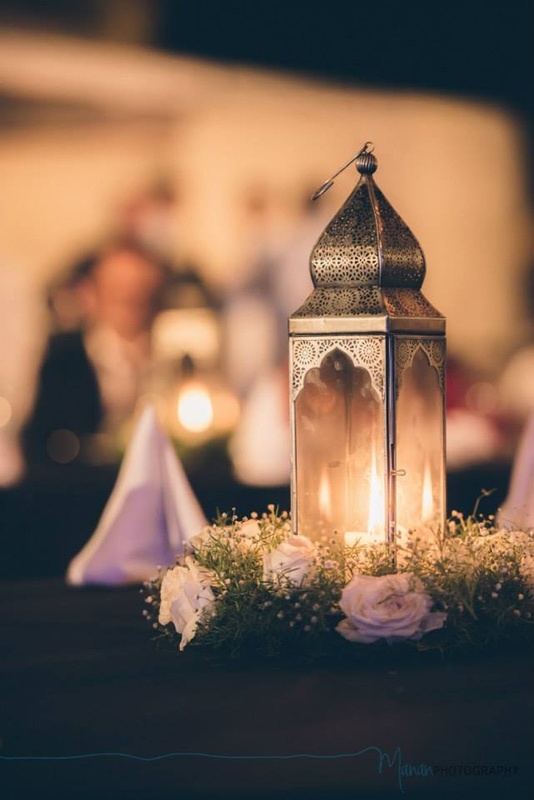 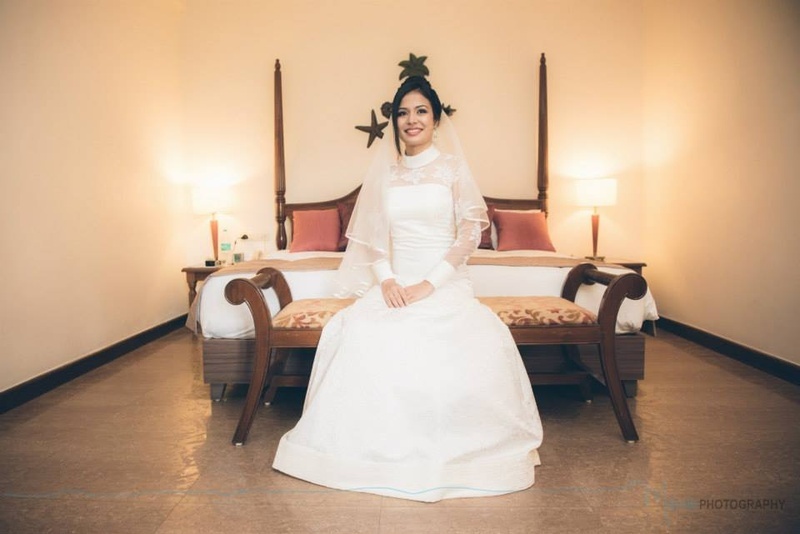 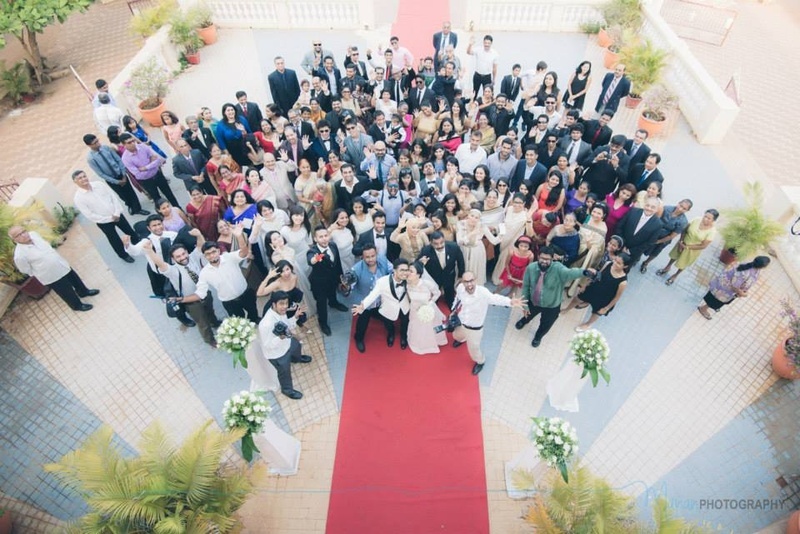 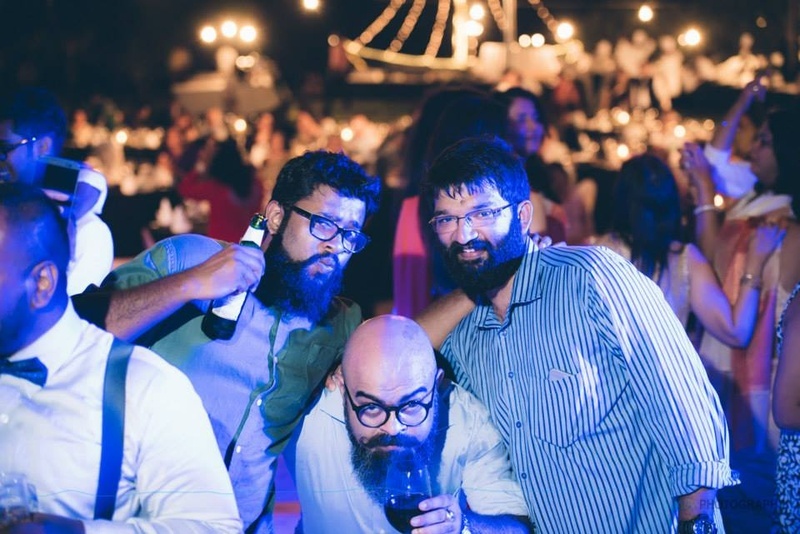 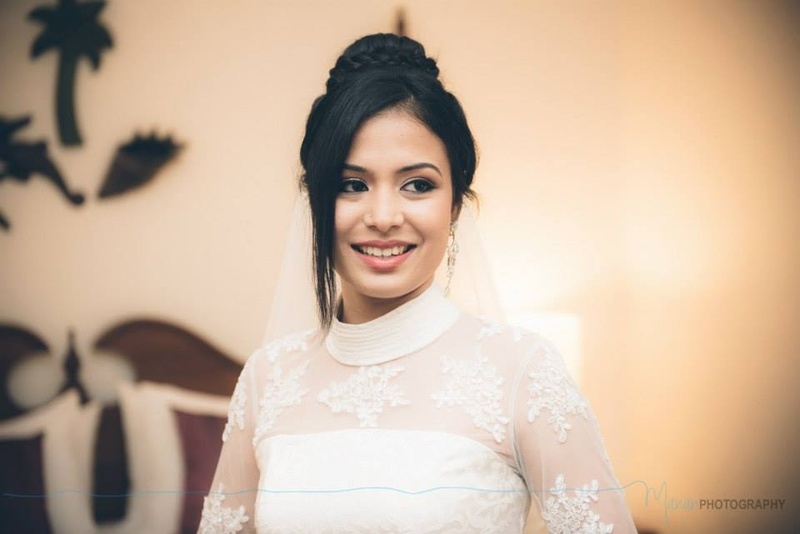 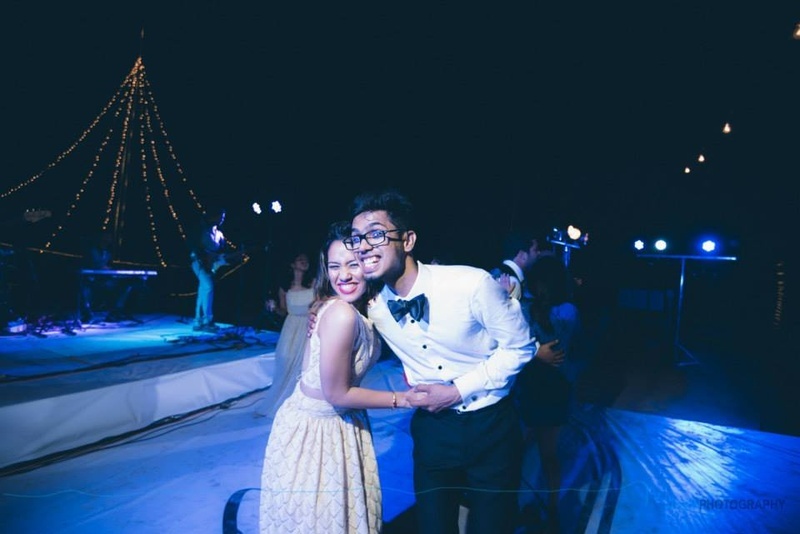 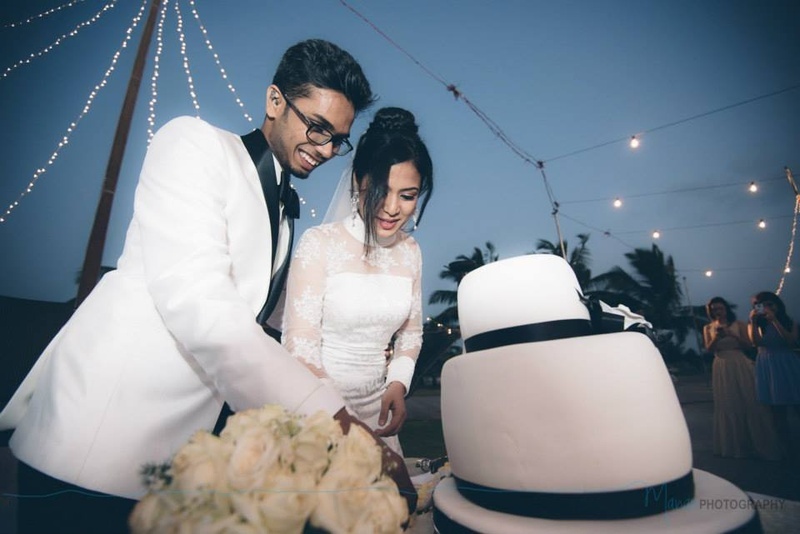 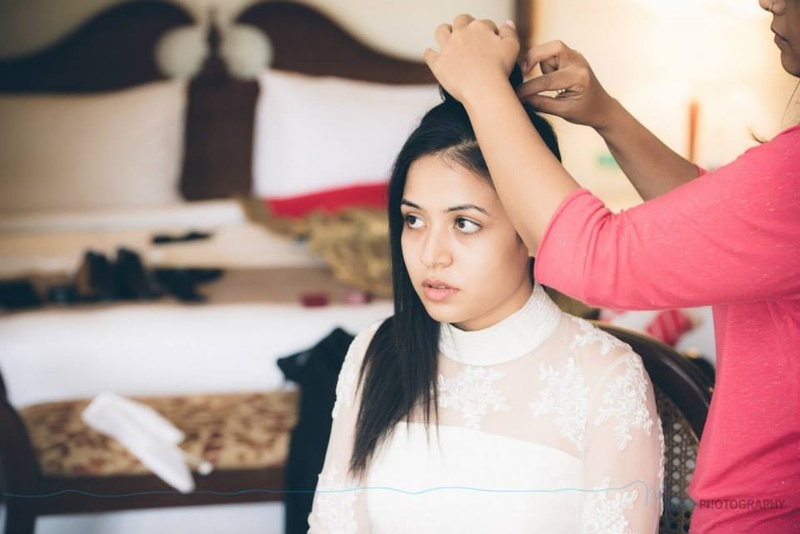 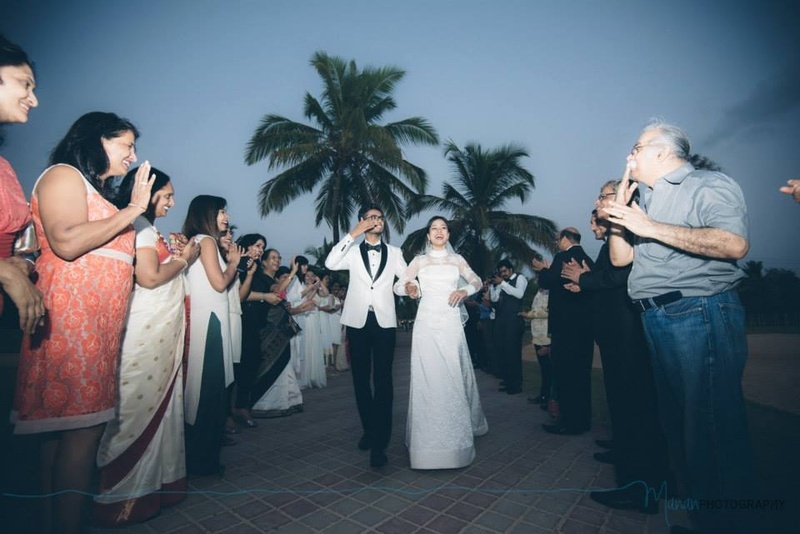 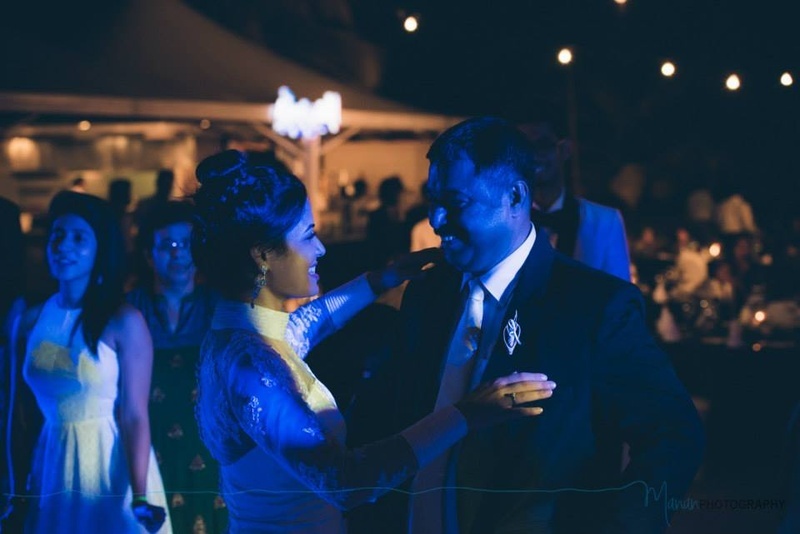 Holiday Inn, Goa hosted Arlene and Claude’s stunning outdoor reception. 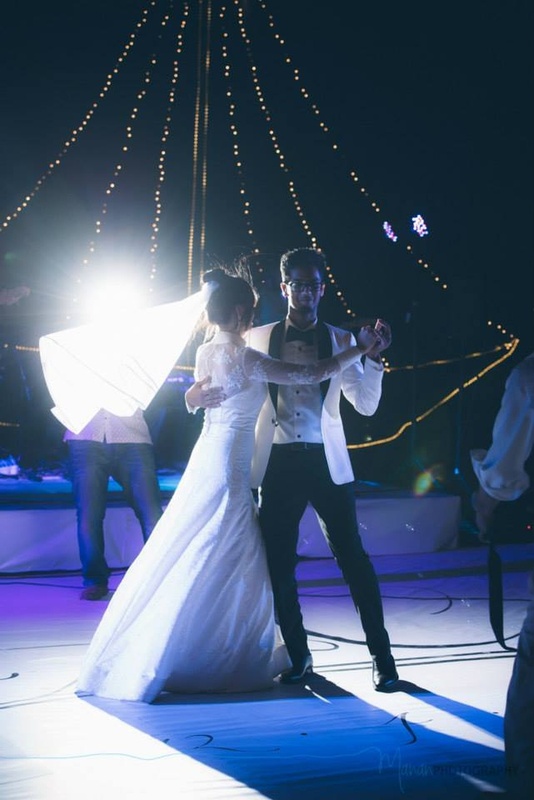 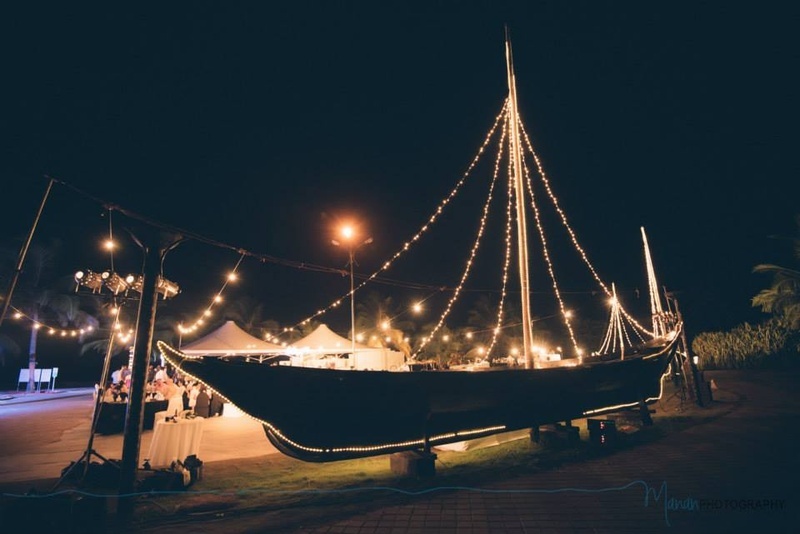 Fairy lights, white cabanas, another nautical inspiration in the form of a massive installation of a beautifully backlit sailboat festooned with fairy lights, lots of merry making, drinking and dancing made for a night to remember. 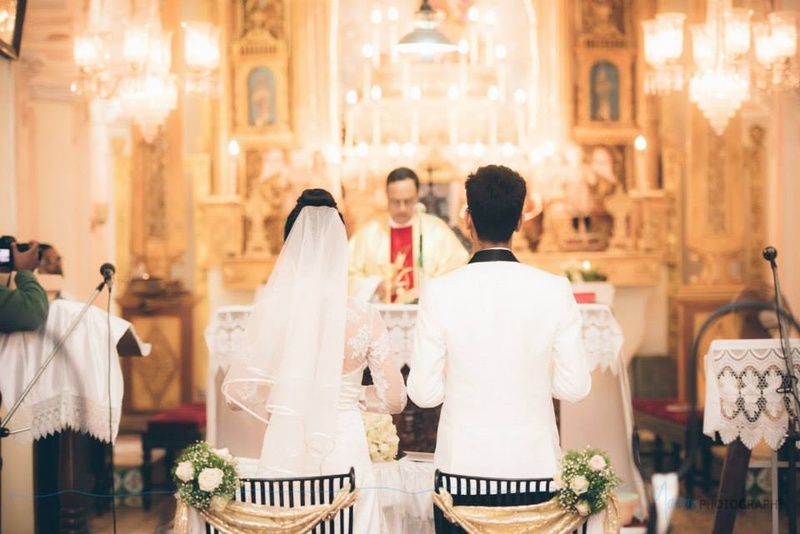 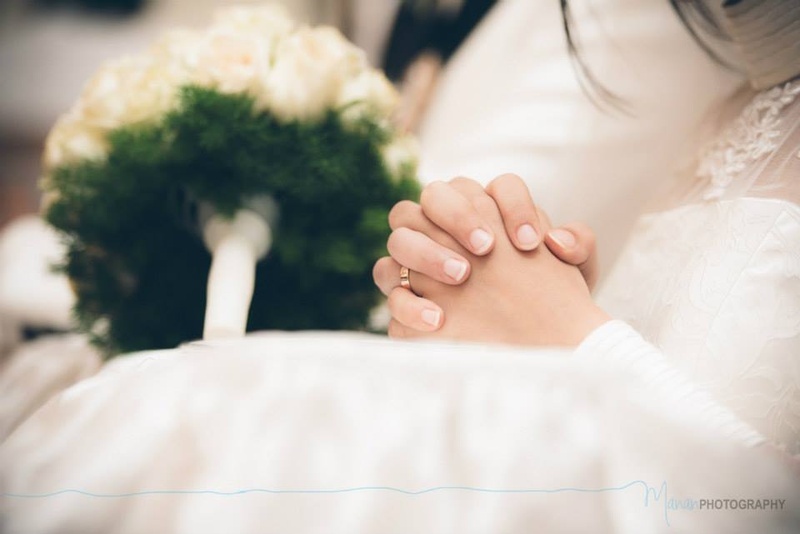 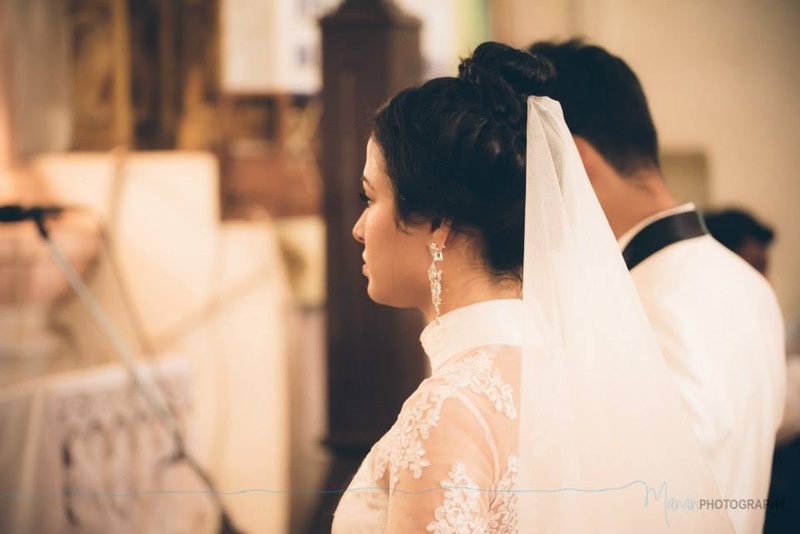 Go through Arlene and Claude’s wedding memories to see what we are talking about.